85 hour training by our yoga erudite. Fulfill your dream and be a master of the sacred art. 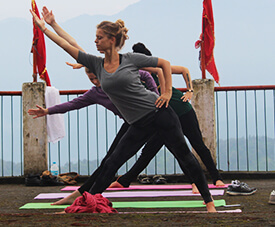 Master the foundations of yoga practice suited for every stage of pregnancy with 85 Hour Pre and Postnatal Yoga Teacher Training in Rishikesh, India. 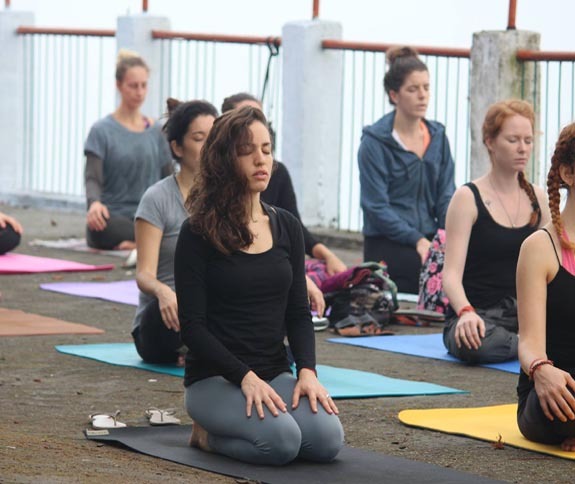 Rishikesh is the birthplace of yoga and aptly serves as the ideal destination for your yogic escapade. Learn from our revered masters to help 'would-be' mothers in their emotional journey and help them stay positive, anxiety free and rejuvenated. Pre and Postnatal yoga teacher training in India by Rishikul Yogshala, registered with Yoga Alliance, is best suited for qualified yoga teachers, teacher training graduates who have recently finished their training or those still pursuing their yoga teacher training, and professional prenatal caretakers who work or wish to work with pregnant women and women after giving birth. Pregnancy and becoming a mother is the most beautiful time for every woman. It is a time of many changes and challenges for the body, mind and emotional health. All mothers-to-be deserve the attention, support and individual care - yoga can help a lot! The prenatal yoga teacher training in India is also beneficial for keen yoga practitioners who are pregnant or new mothers. In the training program, we concentrate on yoga’s therapeutic applications along with its principles to achieve the stages of pregnancy effectively and safely through the preventive, promotive and curative aspects of yoga. 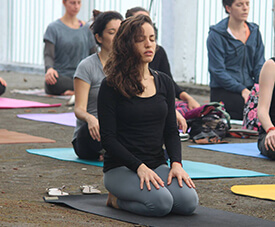 Yoga techniques are customized according to the needs of a pregnant woman, including practice and teaching skills for each trimester. Techniques include: postural alignments and techniques with props / without props for each trimester, breathing techniques to overcome stress and feel relaxed throughout, various relaxation and meditation techniques, art of visualization or positive thinking. It’s an art of designing the lesson plans, both for the advanced students and beginners during each trimester. Study of anatomical and physiological changes during pregnancy (of both physical and subtle body). The class would also include an in-depth overview of organ functioning during pregnancy as well overview of different complications which includes premature labor, miscarriage, hypertension or preeclampsia and gestational diabetes. Philosophical aspects on yoga and pregnancy, understanding how philosophy can help us prepare for conscious parenthood and understanding the meaning of yoga and its interpretations in the context of pregnancy and motherhood. Nisha is a professional yoga instructor (200 E-RYT and 500 RYT with Yoga Alliance USA) with expertise in Vinyasa Flow, Hatha/Hatha Flow Yoga, Pre-Natal Yoga, Kids Yoga, Yoga Anatomy, Yoga Therapy, Yoga Nidra and Pranayama. A certified prenatal yoga teacher, she finds it of immense pleasure to guide pregnant women in the beautiful journey of motherhood as well as help them with postpartum recovery. She loves her Hatha sessions but teaching prenatal yoga and postnatal yoga is what fills her heart with joy and warmth. 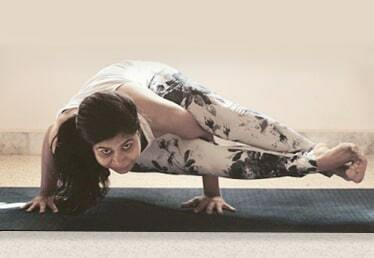 She started yoga when she was 13 and since then she has never looked back. She has obtained her yoga education from different places like Madurai, Rishikesh, Mysore and Chennai and also happens to be an Anti-Gravity fitness trainer. She hopes to inspire people through her teaching and motivate them to live a life of positivity, confidence, creativity, joy and peace. 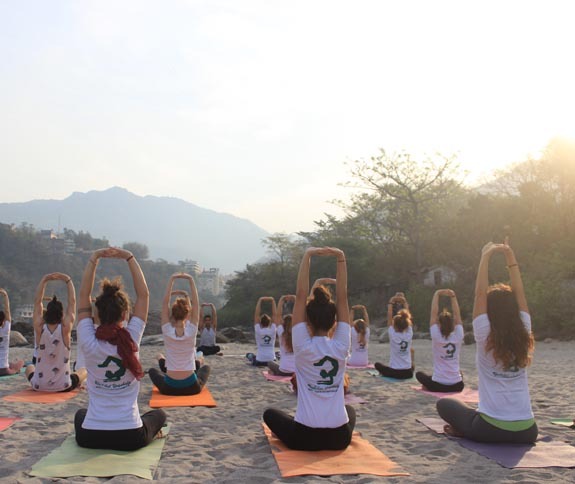 The 85 hour pre and postnatal yoga teacher training course in Rishikesh is a unique experience in itself where you get to specialize in pre & post natal yoga. 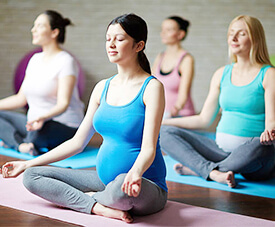 During the 85-hour training program, you get trained by highly knowledgeable and experienced yoga gurus on the different aspects of pre and postnatal yoga and its philosophies. They also act as your guides to show you the right path in your yogic journey. Upon successful completion of the training program, you get the opportunity to register yourself as a RYPT which makes you a certified pre and postnatal yoga teacher. We understand that a clean, hygienic and a relaxing accommodation is a must for the students so that they can focus on their training with utmost sincerity and dedication. 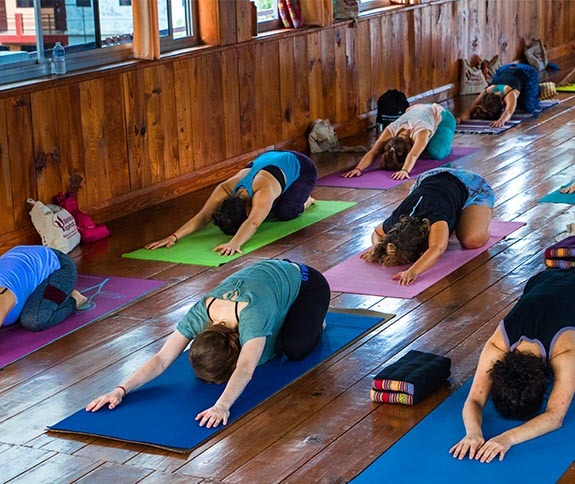 During our prenatal yoga teacher training in Rishikesh, students are accommodated at homely, neat and clean rooms with all the basic facilities for a comfortable stay. The yogic ambiance of the school ensures that our students have a relaxing time and can also indulge in self-practice in their rooms. 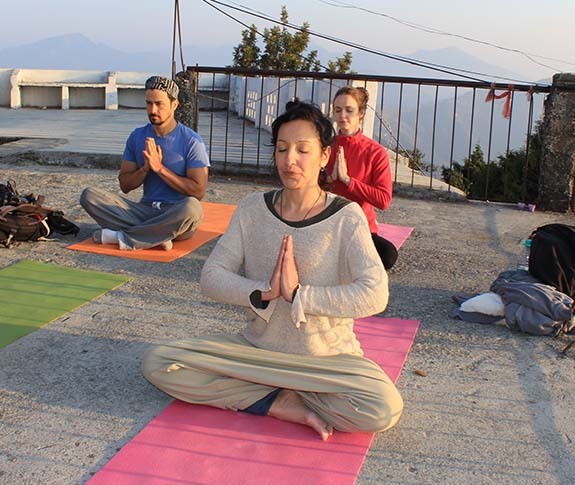 With the Shivalik Hills in the backdrop and the cool breeze of the mountains blowing by, the accommodation is aptly suited for yogis who wish to delve deep into the sacred science of yoga. 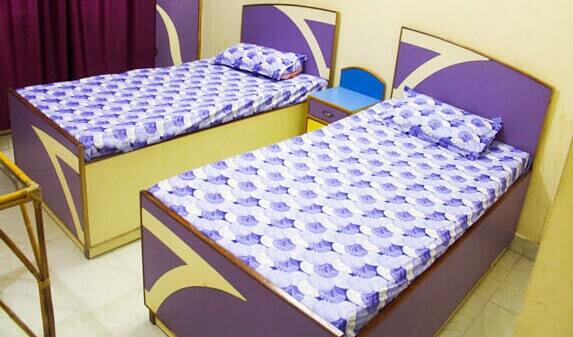 Rooms are available both on private and sharing basis. Proper nourishment is extremely important for the students who enroll for our yoga teacher training programs. That is the reason why we emphasize so much on nutrition and nourishment facilities at our training school. 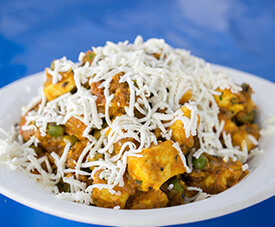 The food is purely vegetarian and prepared with utmost care by our renowned chefs with years of experience in Ayurvedic cooking. The Sattvic food is prepared from fresh farm produce and is served three times a day to our students. The meals are also accompanied by herbal drinks so as to make sure that our students get the required nourishment to successfully complete their prenatal yoga teacher training in India. In-depth knowledge of human anatomy, normal anatomy and physiology with reference to pregnancy. Knowledge of specialized yoga techniques with respect to pregnancy including teaching skills and practice for trimester-specific yoga techniques like pranayama meditation, asana, relaxation, etc. Learn about yoga philosophy’s importance when it comes to prenatal yoga as well as the significance and scope of yoga in present-day life. Know about the role of the relationship between healthcare professionals and a prenatal yoga teacher during pregnancy with prenatal yoga teacher training in Rishikesh. Help mothers-to-be in their journey of motherhood by showing them the right path of transition through grace and competence. You become eligible for the certificate of RPYT from Yoga Alliance USA after fulfilling the training requirements.